Makurdi, the capital of Benue State is to host the mega comedy show, Glo Laffta Fest that has been dispensing fun and laughter across the nation in the last six months. The show, organised Globacom, was held in the commercial city of Onitsha last Sunday, drawing a mammoth audience. 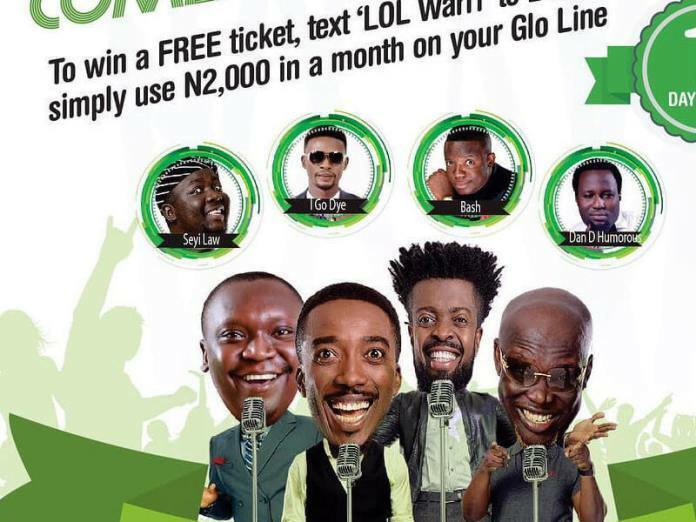 Since it was flagged off in Port Harcourt on April 16, 2017, Glo Laffta Fest has taken the continent’s most talented stand-up comedians, including Basket-mouth, Salvador from Uganda, Bovi Ugboma, I Go Dye, Acapella, De Don, Seyi Law, Bash, Senator, Dan D’Humorous, Kenny Blaq, and Still Ringing, among others to 25 locations nationwide. The Makurdi edition, which marks the 26th week of the show is slated to hold at 4pm at the Royal Choice Inn, in the heart of Makurdi. Apart from the celebrated comedians who will strut their stuff on the massive stage on Sunday, the Makurdi edition of Glo Laffta Fest will also feature Nollywood legend, Kanayo O. Kanayo as a celebrity guest, while the duo of Nollywood’s finest damsels, Ebube Nwagbo and Uche Jombo would be the show anchors. One of Nigeria’s finest and most successful comedians, Francis Agoda, better known as I Go Dye, said he was poised to give Makurdi residents the best of his jokes on Sunday. “I want to appeal to the good people of Makurdi not to miss out on the fun of Glo Laffta Fest this Sunday. It is going to be the best evening they have had ever! Take it to the bank,” I Go Dye said. Gordons said: “I am super excited to be on Glo Laffta Fest stage in Makurdi on Sunday. I’m all revved up to unleash the fun. Don’t be left behind. Come and have the fun of your life”. 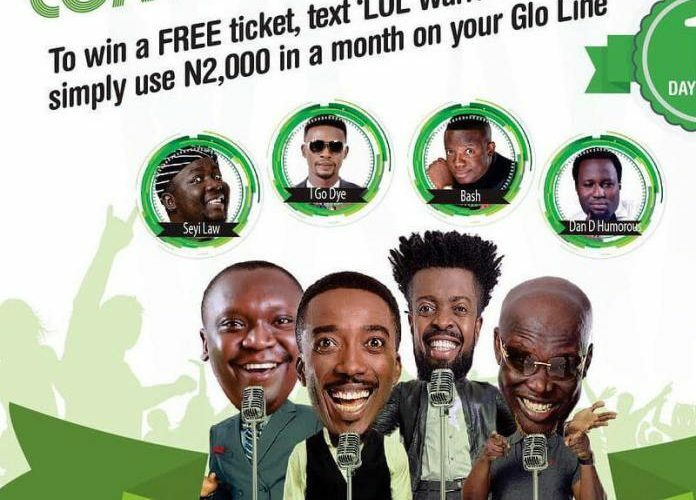 To attend the Makurdi show, Glo subscribers who have used up to N2,000 credit in the last one month are required to text ‘LOL’ with the location name to the short code 240; for example, “LOL Makurdi” to 240. Subscribers who do not meet this criterion but who wish to attend the show are requested to go to the event venue with N2000 to purchase airtime for their own use. They will then be entitled to a ticket.